I suspect these are going to fall into the ‘love’ or ‘hate’ category – and if you love them, you can pick up a pair of Adidas Italia 1960 trainers right now. 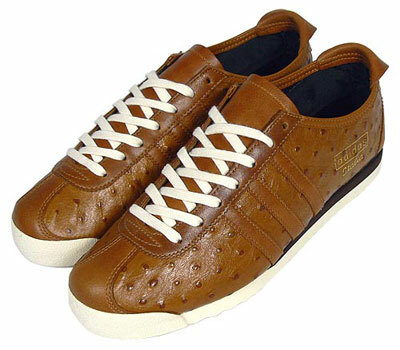 Made of premium ‘ostrich effect’ tan leather, they have a full leather insole, co-ordinating Adidas stripes and off-white sole. A pair will set you back £75.